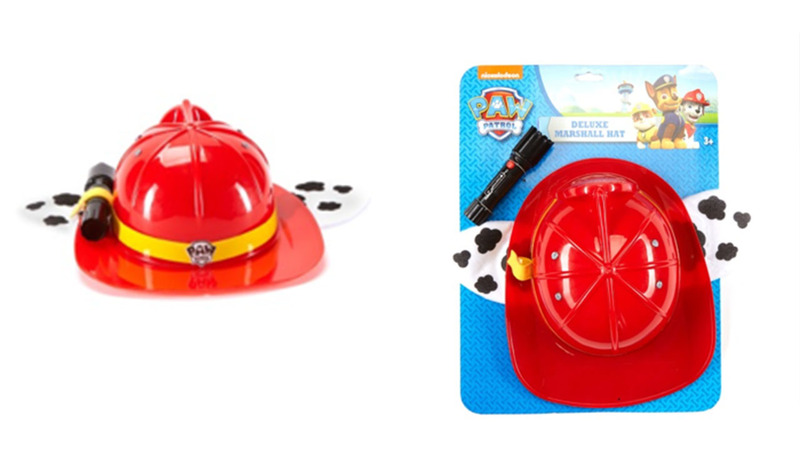 Spirit Halloween is recalling more than 20,000 of their Paw Patrol Marshall hats with flashlights due to fire and burn hazards. According to the company, the batteries in the flashlight can overheat, causing it to become hot, posing burn and fire hazards. So far, there have been four reports of the toy overheating; however, no injuries have been reported. The affected hats are red with a yellow ribbon, have black and white spotted dog ears, and a black flashlight attached to the side. The SKU number and date codes are on the sewn in the label under the ear on the hat. Consumers take the hats away from children, remove the batteries, dispose of the flashlight and contact Spirit Halloween for a full refund. Customers will be asked to provide a photo of the tag located.